For more than 100 years, Native American Indian artifacts—cooking wares, weapons, jewelry and clothing—have been sought after by museums and private collectors. These items are prized not only for their beauty and craftsmanship, which is easy to see, but also because these items preserve the past, an endangered way of life. 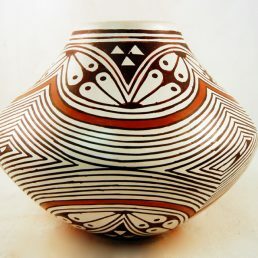 Still, some collectible Native American Indian pottery is labeled as such because of its rarity. 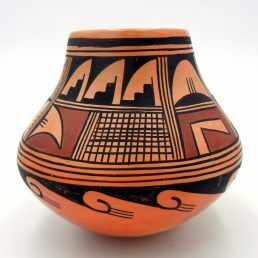 The small Santa Clara Pueblo, for instance, has very few potters left. Work from this Pueblo is rare yet of the highest quality. These pieces are often instant collectibles, even when the artist is not famous in his/her own right. 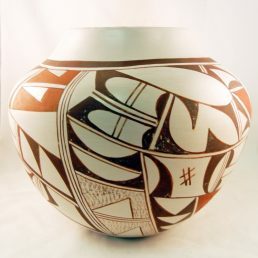 What Makes a Collectible Native Art Piece? 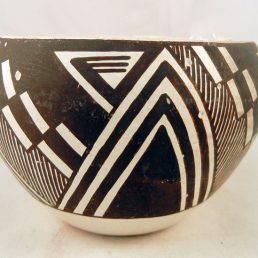 In a sense, any piece of authentic handmade Native American Indian art—jewelry, pottery, baskets, rugs, etc.—is a collectible. The pieces are created using precious metals, genuine stones, earth clays, natural dyes and fashioned using techniques passed down from generation to generation. 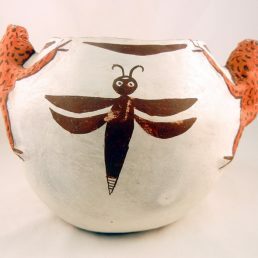 Each piece is unique because artists do not seek to replicate their own work or copy others’. But in the art world, not every piece is a collectible. That label is reserved for special pieces. When classifying Native American Indian art, the artist is often what makes the piece collectible. Collectible artists are those who are highly prized and awarded during their prolific careers. But in most cases, artists’ pieces are only considered collectible posthumously. 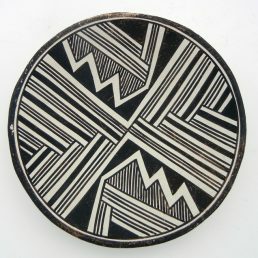 Native American Indian art collectibles are available at several galleries and shops throughout the Southwest. However, you must be cautious in where you purchase pieces to begin or expand your collection. Reputable dealers can help you identify authentic pieces, but some traders may acquire collectibles that have been banned for sale or made with illegal items, like bald eagle feathers. You can avoid the dangers of purchasing unlawful collectibles by shopping with Palms Trading Company. 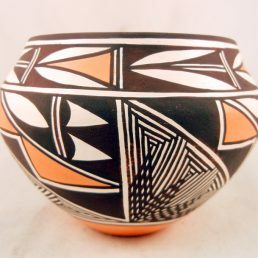 Palms Trading Company prides itself on being the most knowledgeable trader of authentic Native American Indian art and the trader with the most integrity. 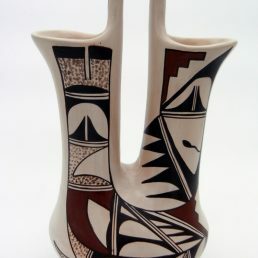 Palms Trading Company has been buying art directly from Southwestern Pueblo artists for over 40 years. We have established relationships with the artists and respect their work and their heritage. We strive to reflect that in our treatment of their crafts and the prices we offer. 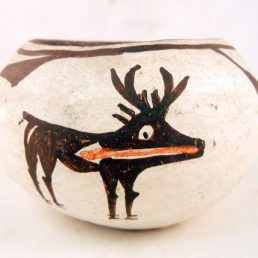 Our selection of collectible Native American Indian art varies depending on the time of year. If you’d like to see our full current selection, please contact us to use our personal shopper service.